FRESNO, CA (KMJ) – A jury in Kern County finds a man guilty of waging a campaign of terror against his ex wife and her family. 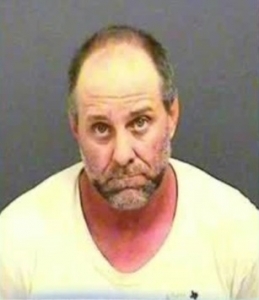 In 2014, Jeffrey Dean Enslow broke into his ex-wife’s home and assaulted her, and stole some of her property. In the years after she reported the incident to Tehachapi police, Enslow waged an extensive cyber-stalking campaign using dark web emails, and using apps he connected to his victim’s cellphones and was able to intercept her data and communications for years. The Kern County District Attorney says law enforcement lacked the resources and technical expertise to investigate the claims. In July of 2017, one woman discovered a pipe bomb under her car that the FBI says was the same type used in terrorist attacks like the Oklahoma City bombing. Shortly after the discover of the bomb, Redding police assisted the Tehachapi Police Department and other authorities from Kern County with two search warrants. Enslow, who is from Redding was arrested for a suspicious device in Tehachapi. A search warrant was served in the 1400 block of Victor Avenue in Redding, where police located a large bucket labeled “danger explosive” in the garage of the home. On Tuesday, Nov. 6, the jury in Kern County found Enslow guilty of 18 counts – the charges ranged from felony domestic violence, to making explosives, trying to ignite a bomb and owning a silencer. Jeffrey Enslow will be sentenced in December.